Marijuana edibles are the latest, hottest trend to hit the United States. More and more people are ditching smoking for healthier lifestyle choices, and edibles give them the perfect opportunity to achieve this. You can buy weed edibles online or at your local pot shop, but you can also make them yourself, at home, and with only your imagination to limit you. Just a few short years ago, the only cannabis edibles anyone had ever heard of were brownies and chocolates. Nowadays, due to legalization in most states, you can find a lot more than that. A simple search online will reveal gummies, candies, granola bars, health mixes, honey straws and so much more. If you can eat it, you can infuse it with cannabis, but there are some things to know first. So popular are edibles that people are now dedicating entire blogs to weed food recipes. You can find starters, main dishes, desserts, drinks, salad dressings, and even specialized infusion appliances to do it yourself. The edibles market is fast outpacing buds, concentrates and other marijuana products, and experts predict that, soon, you will be able to enjoy the finest cannabis cuisine at legal pot restaurants. Following the latest weed recipes can be complicated if you are a newbie to cooking. If you know your way around a kitchen and a simple recipe book, however, it could not be any easier. The biggest confusion for most people is making the infusion beforehand. You cannot just throw buds into your dough. Firstly, it will not work and secondly, it will make the dish taste horrible. If you want to get stoned on a tasty delight, then you need to use an oil or butter already pre-infused with cannabis. You can buy it directly or you can make it yourself. There are wonderful cannabis oil infusers on the market today, such as the LEVO Oil Infuser, that will enable you to make potent oils and butters speedily and with great ease. Either way, you must have a readymade marijuana infusion to use. From smoothies to teas, coffees and plenty of other beverages, cannabis is fast becoming a must-have ingredient. The only trouble is that tetrahydrocannabinol, or THC, and cannabidiol, or CBD, are fat molecules that are not soluble in liquids. 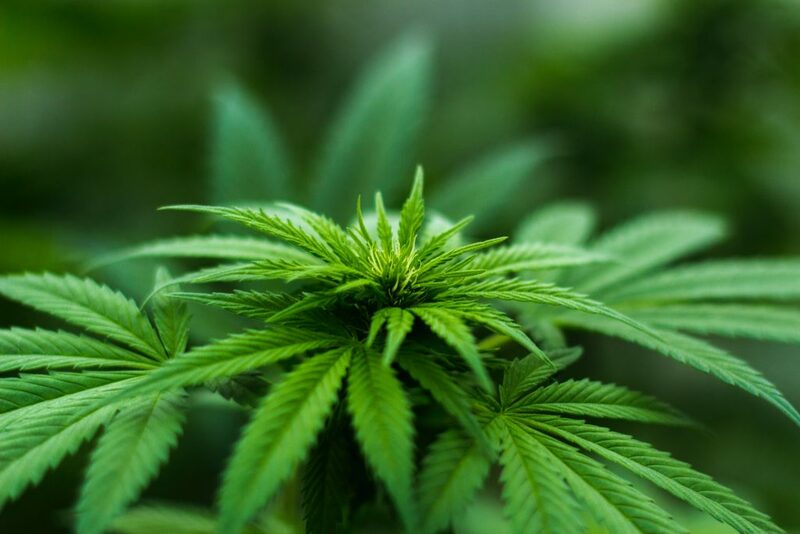 Despite this, scientists have found a way to infuse cannabis with water by breaking these fat molecules down into nanoparticles. CBD water, that popular drink everyone raves about, is just water with such tiny cannabidiol particles in it that you cannot see it in the water. This allows the cannabinoids to distribute themselves evenly in the liquid, but it is important to remember that it never dissolves. However, unless you want to sell THC- or CBD-rich water, this is unlikely to be of any concern to you. Nobody else cares. You can still add a cannabis-infused oil to your drinks. It does especially well in milkshakes and smoothies, but even in other beverages, you probably will not even notice it. You will feel it, however, if you make it potent enough. 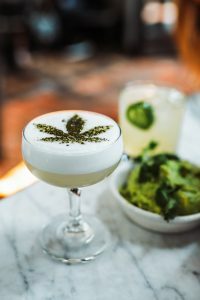 Many, many weed drink recipes are available online. Try making one or two. Alternatively, you can experiment with making all of them. It is a good reason to invite some guests. Everybody loves food, and these days, everybody loves it even more if it promises a potent high. You can literally add cannabis-infused oil or butter into any dish you desire, even create a three-course meal to delight your dinner guests. Weed food recipes are simply abundant online. You can find one for any dish you please, but instructions can be a mite confusing if it is your first introduction to weed recipes. This is especially true if you do not have your infused cannabis butter or oil ready beforehand. Without it, you may find the recipe difficult to follow. However, if you have your infusion on hand to use in your dish, then making it is as easy as reading instructions. From healthy foods to unhealthy snacks and desserts, there is something for every conceivable taste bud. You could even add your marijuana-infused oil or butter into your everyday meals. You can make a salad dressing if you are really health conscious, or even a nut and seed mix, such as home baked granola bars. The sky is not even a limit when it comes to weed food recipes. Ideas abound everywhere you look, and you have the opportunity to be as creative as you want to be. Weed edibles are easy to make and even easier to buy. However, the body takes longer to absorb food than the lungs do to circulate oxygen. This means that you will not feel effects immediately if you ingest cannabis. It could take up to two hours for you to feel anything at all, and dosing can be challenging, as well. Never have a second helping without waiting for effects to kick in first. Overdosing can feel nasty. Information on cannabis edibles is abundant and widely available online. Weed recipes exist almost everywhere. If you have any difficulty deciding which strains to infuse, which dishes to try, or how to dose your guests properly, then the answers are all over the Internet too. You could just ask an online expert directly, however. This can save you precious time searching and prevent unnecessary confusion.